Kevin covers the Syfy original movie Almighty Thor on his own for today’s podcast. You can help to support the podcast by purchasing your copy of Almighty Thor here. I didn’t enjoy this movie at all. 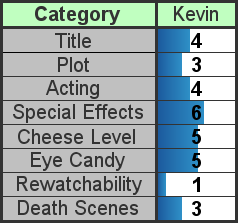 The main actor just wasn’t that good an actor. I ended up fast-forwarding through most of this movie. It did have Richard Greico, which I’ve not seen since If Looks Could Kill (a fun Bond-like movie), but even he was pretty bad in this movie. 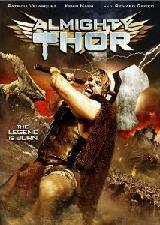 The other Thor movie that SyFy did was much better, Hammer of the Gods, which starred Zachary Ty Bryan as Thor. This movie was better acted and more entertaining.